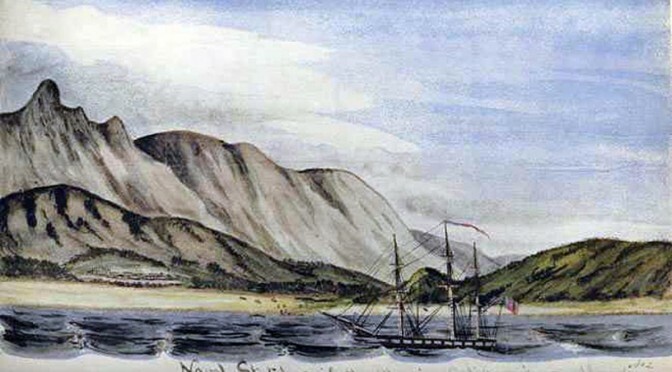 William H. Meyers, watercolor, 1847. Naval Sketches of the War in California, limited Edition of 1,000, Grabhorn Press, San Francisco, 1939. The USS Sloop Dale off San Jose del Cabo, the extreme lower point of Lower California. 18 November 1846. From the collection of Franklin Delano Roosevelt. William H. Meyers, watercolor, 1847. Naval Sketches of the War in California, limited Edition of 1,000, Grabhorn Press, San Francisco, 1939. The USS Sloop Dale of San Jose, the extreme lower point of Lower California. 18 November 1846. From the collection of Franklin Delano Roosevelt. 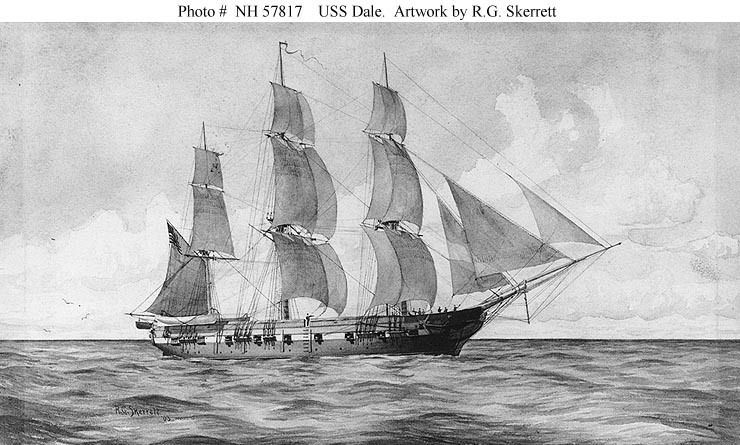 USS Dale (1839) (later Oriole) was a sloop-of-war in the United States Navy commissioned on 11 December 1839. Dale was involved in the Mexican-American War, the American Civil War, operations along Africa to suppress slave trade, and was used in the US Coast Guard, among other activities.